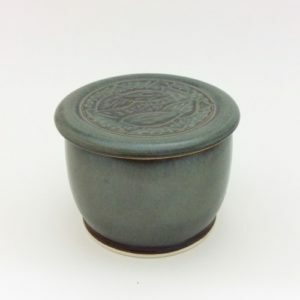 View Cart “Small Textured Decorative Bowl – Green Interior” has been added to your cart. 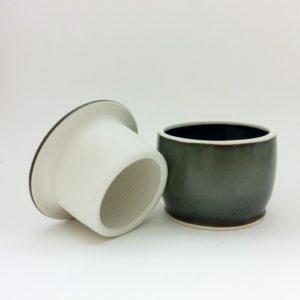 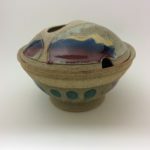 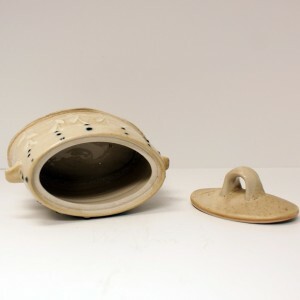 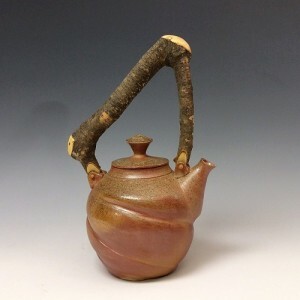 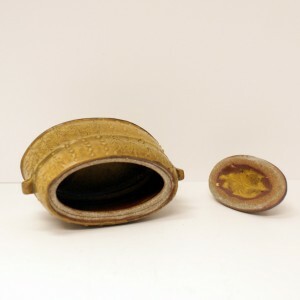 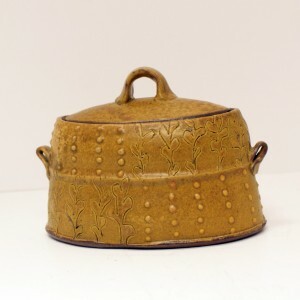 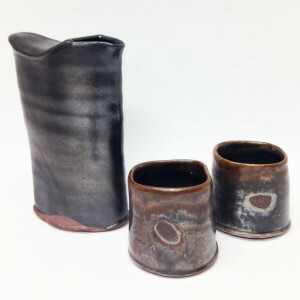 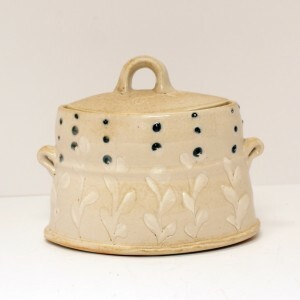 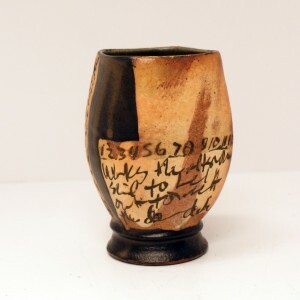 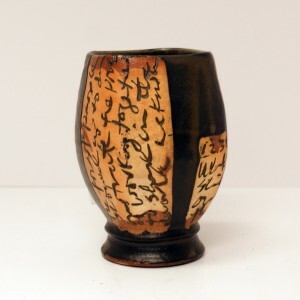 Cynthia Cummings-Birch is a ceramic artist whose work is both sculptural and functional with an emphasis on the natural world, specifically the landscape of New Hampshire. 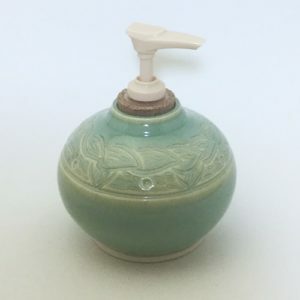 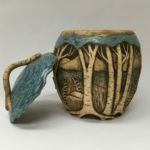 She combines throwing, hand building and figurative carving, creating a contrast between the smooth glazed areas and the carved stained surface of the landscape. 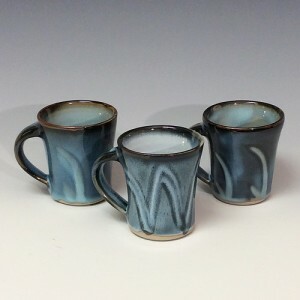 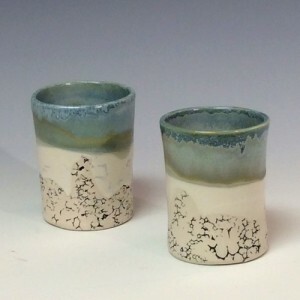 The glazes she uses are all colors found in nature which help to evoke the feeling of the natural environment and create a sense of place. 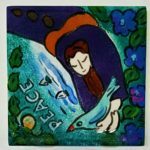 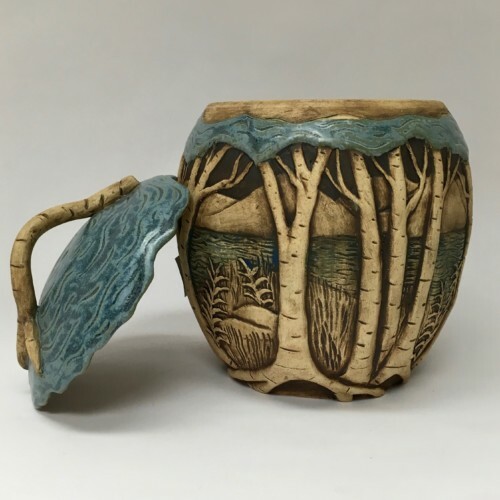 Cynthia gaduated with a BA from Plymouth State University and has spent many years teaching students throughout New Hampshire in public schools, summer arts programs and advanced workshops for adults. 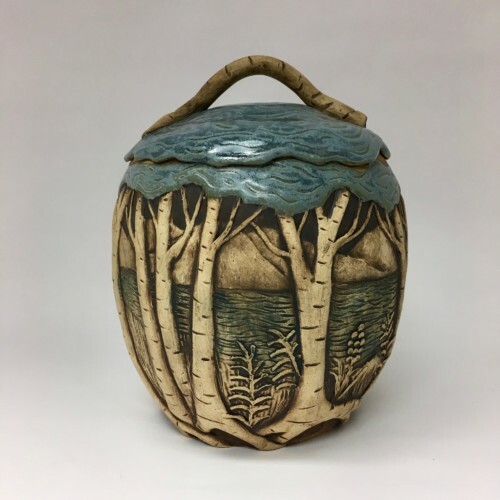 “Wind in the Water” – hand carved jar by Cynthia Cummings-Birch shows the landscape she grew up in in Northern NH but can be any natural setting with mountains, trees and the meandering river. 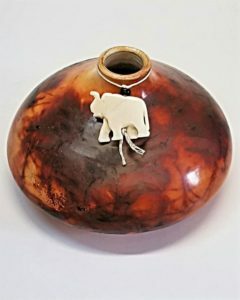 Please call the Littleton Gallery at 603–444–1099 with any questions before ordering.